Thank you for your interest in becoming an Effie Judge. To apply to be a judge in the Global Effie competition, please visit the Global Effie Judge Application Form. Have you judged for the Effies in the past? Please select those areas of marketing that you focus on in your day-to-day world and consider yourself particularly suited to judge. These selections will help match those judges with specific job focuses to categories that require judges to have a particular expertise. You do not need to select an area of expertise to be considered for the Effie jury. Marketing Expertise - Select those areas where you have considerable expertise & work within that area on a day-to-day basis. Do not select all. Please note if you are interested in volunteering as a Collegiate Effie judge, or if you would be willing to help involve some of your more junior team members in Collegiate Effie judging. Collegiate Effie judging can be done online for your convenience. We appreciate your participation. I am interested in volunteering as a Collegiate Effie judge. I am interested in involving some of my team members as Collegiate Effie judges. Referred by: (if applicable)<br> If you were referred to complete this form by a PR Contact, Awards Manager, or Effie team member, please note their name here. Please select if you would like to be added to the Effie Awards United States email newsletter/marketing list. 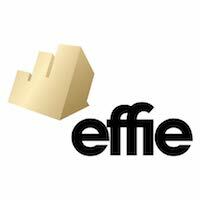 Yes-Please add me to the Effie Awards United States email newsletter/marketing list. No-Do Not Add My Email; only contact me for judging purposes. Please select if you would like to receive printed materials from Effie Worldwide at the address listed above. Yes-Please add me to your mailing list. No-Do not add me to your mailing list. Please Note: The needs of the Effie Selection Committee change on a rolling basis as we strive to create well-rounded juries that represent both client side and agency expertise across each discipline. For this reason, we can not guarantee the acceptance of all judging applicants.